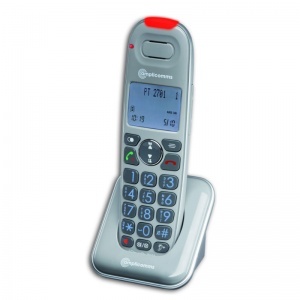 If you struggle to hear the telephone ringing or find that conversations down the line can be faint, an amplified telephone may be your ideal solution to improved communication. 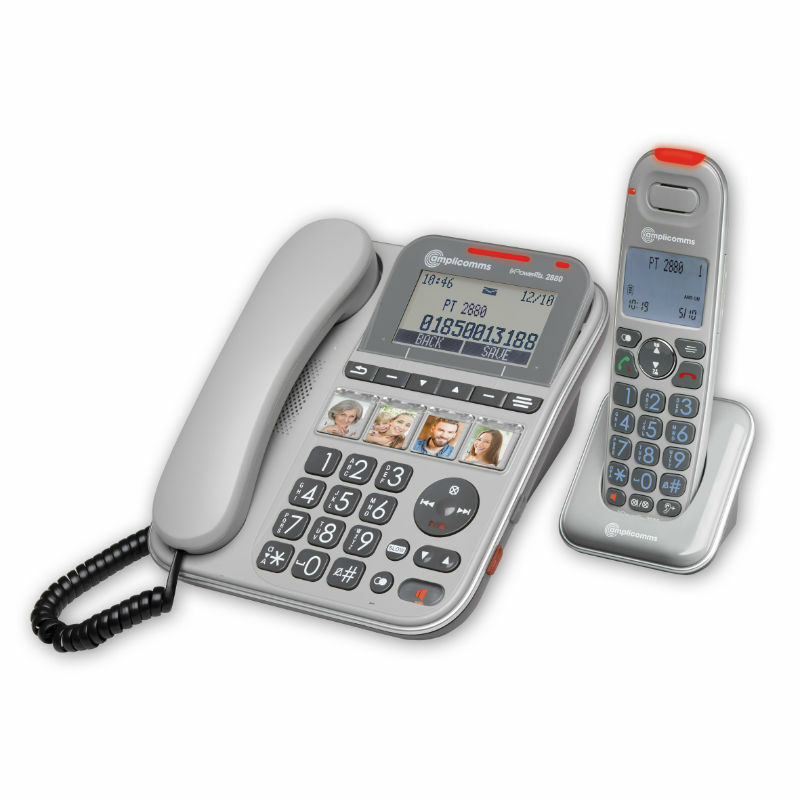 The Amplicomms PowerTel 2880 Amplified Telephone Combo with Answering Machine combines a corded telephone and cordless handset with an answering machine to improve phone conversations for individuals with hearing impairments. There is a receiver volume of up to 40dB and an increased ringing volume of up to 90dB, allowing both handsets to be heard more easily wherever they are placed in the home. The PowerTel 2880 Combo has been designed to provide improved control over both the ringer and receiver volume. There are six volume levels, in addition to a mute function, allowing the user to adjust the receiver volume up to 40dB and the ringer volume up to 90dB. There is also a choice of ten ringtones for optimal hearing. The HD DSL sound provides low distortion with a built-in equaliser, which can be altered between four settings: natural, treble 1, treble 2, and bass. As the telephone is compatible with hearing aids, it means that audio can be adjusted to meet the needs of virtually any user, improving the quality of conversations and communication. As well as providing greater audio control, the PowerTel 2880 Combo offers improved usability. The large backlit buttons reduce the risk of numbers being misdialled, while the blue backlit display screens makes it easier to read both dialled and incoming numbers. The visual alert provided by the LCD screens provides an additional prompt for incoming calls. This means that users, particularly individuals with reduced hearing, will be less likely to miss a call as the bright screen can catch their attention when in eyeshot.